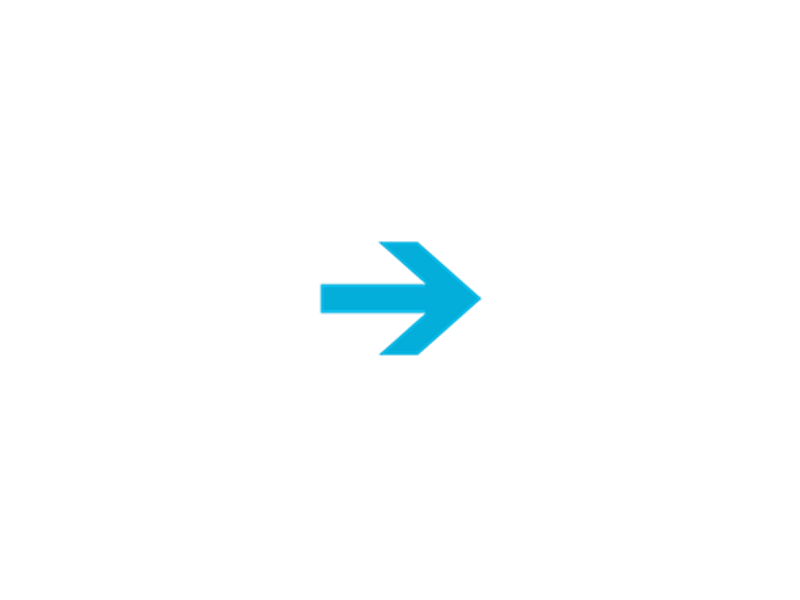 Non-specific changes may be seen in all grades of lesions and also in benign conditions. 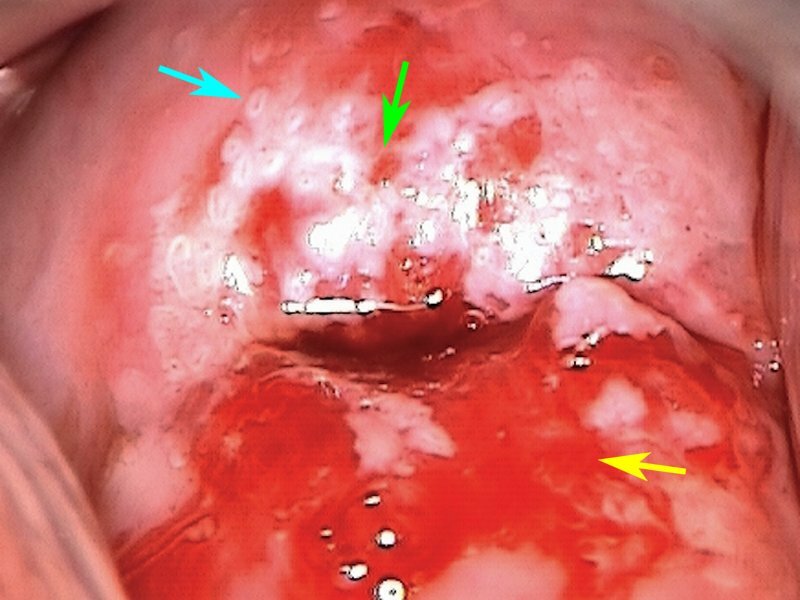 Non-specific changes detected in the transformation zone should alert the colposcopist to the possibility of high-grade lesions or even cancer. 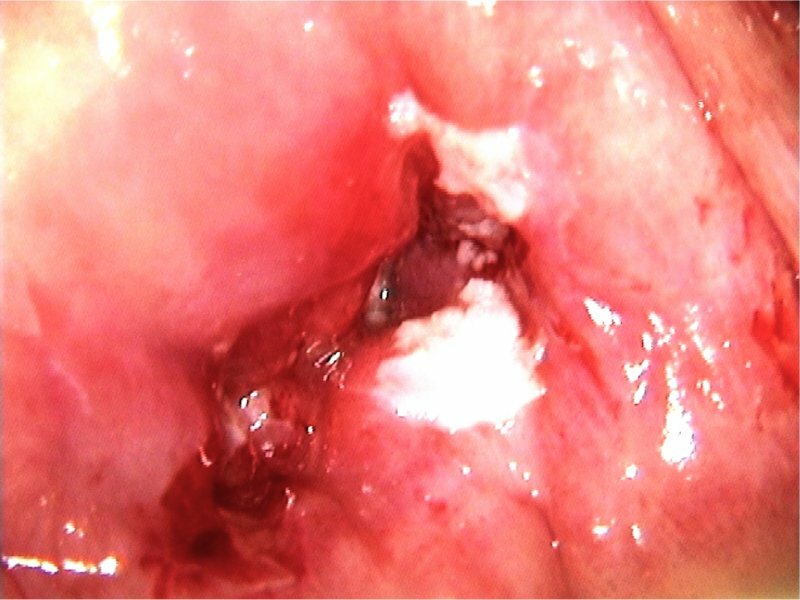 Leukoplakia: Leukoplakia is a thick, shiny white patch on the cervix that is visible even before application of acetic acid. Leukoplakia patches in the transformation zone should always be generously biopsied. Erosion: The epithelium over a high-grade lesion or cancer tends to peel off easily because of poor cohesiveness between the cells. 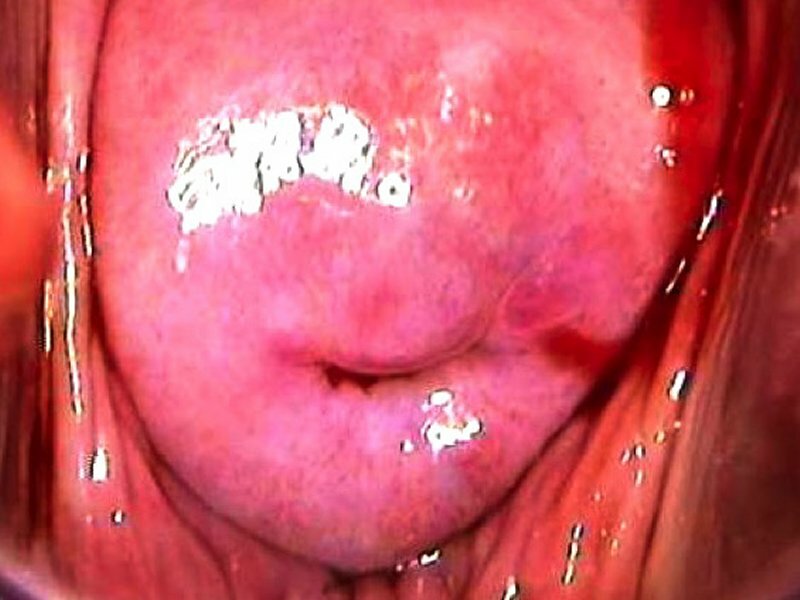 The eroded area is visible on colposcopy as a red patch showing the naked stroma and bleeding vessels. Dense acetowhite areas may be seen surrounding the erosion. 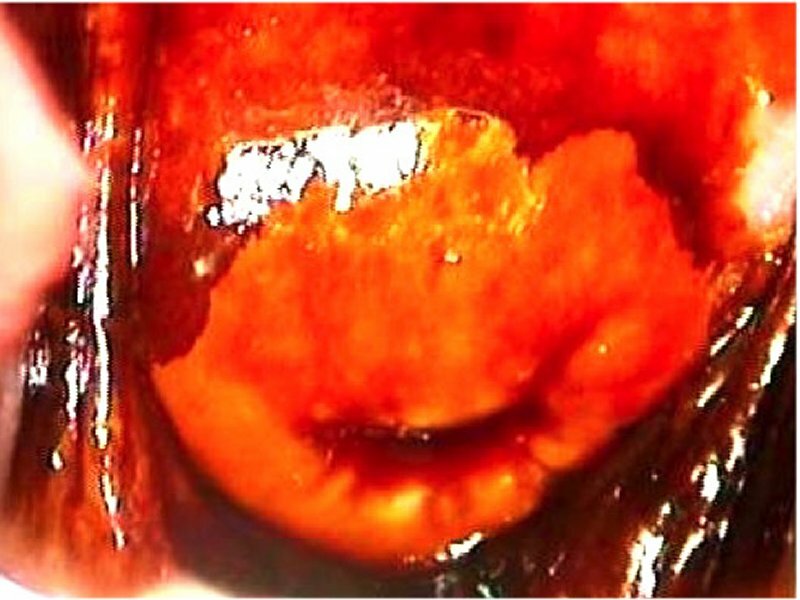 Lugol’s iodine staining: CIN lesions, especially CIN2 or CIN3, are uniformly iodine-negative and are visible as bright yellow (“canary yellow” or “mustard yellow”) iodine-negative areas on the background of dark brown iodine-stained normal epithelium. The detection of iodine-negative areas indicates a positive Schiller test. 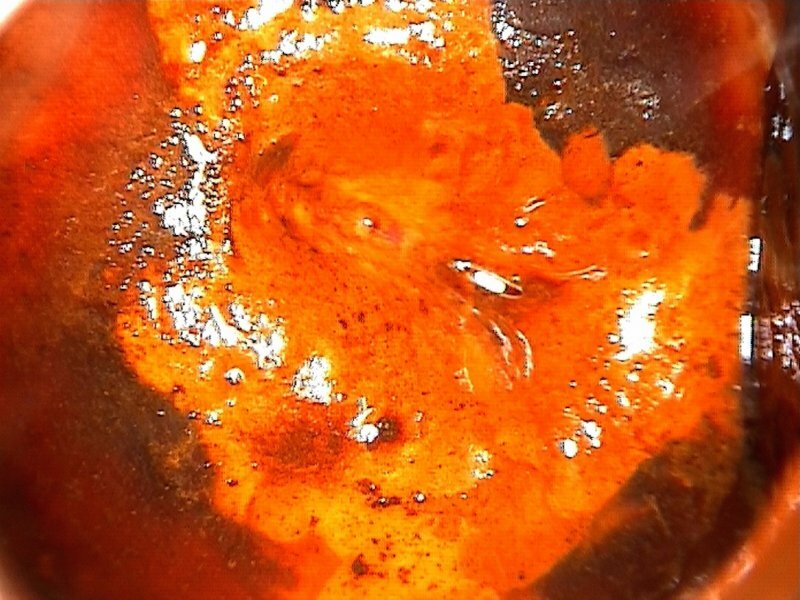 Iodine-negative areas in the absence of background acetowhitening do not have any significance, because they may be due to inflammation, atrophy, or dystrophy (loss of the normal epithelial cell function of accumulating glycogen). 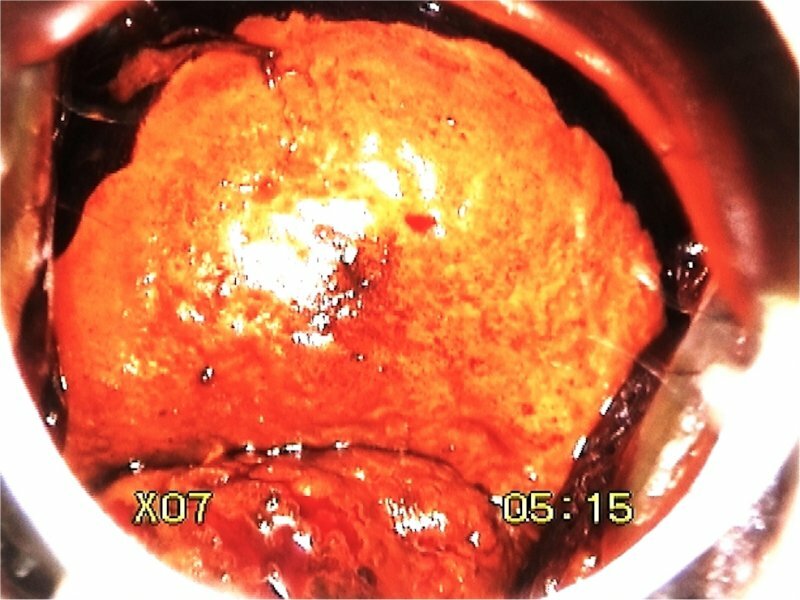 The major utility of applying iodine is to delineate the lesion before treatment.